Over time, the strains and stresses of time will break down your roof. It may even lead to catastrophic failure if things have gone on long enough without any effort to maintain or preserve the roof. However, if you are pro-active and apply some forethought to the maintenance and preservation of your roof, then you can avoid the worst consequences of such material degradation. A home can be a great source of capital. If kept up and well-maintained, your home can prove to be a great source of wealth for you and your children. There are, however, a number of things that you must do to ensure that your home appreciates in value. One of the most important things is preserving and enhancing the physical condition of your house. Part of doing this is keeping the roofing up. 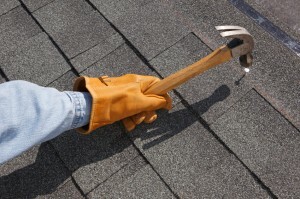 The process of keeping the roofing up cannot be reduced simply to enacting repairs every once and a while. You want to initiate a process that is much more thorough and sustainable. Instituting a planned maintenance schedule is the best way to ensure that your roof is kept in good material condition. Following such a plan does not have to be expensive. You can do it by working with a professional roofer who has the experience and know-how to do the job for a reasonable price. The roofer you choose should be trustworthy. They should also be able to identify any major problems that they find and carry out the necessary repair roof. Only the most competent and experienced roofers will be able to locate those minor flaws and glitches that can lead to major catastrophes. If you are working with such a roofing firm, then you will have the benefit of their best minds and most experienced hands. You will be able to take advantage of expertise that will lead to a roof that is well-maintained and structurally sound. It is important to recognize, however, that not all roofers are the same. They differ in the value and quality they provide in their service. As a homeowner who is looking to establish a long-term relationship with a roofer, it is important to find one that can provide you the best deal possible. You want to find a way to keep up your roof, but you don’t want to pay exorbitant amounts of money to do it. Looking in the right place can help you achieve both of these goals. Indeed, the best way to get a roofer who will satisfy your needs and expectations is to look at the ones who have earned a reputation for consistently providing excellent customer satisfaction. The best way to find such firms is to go to the worldwide web. Using the web will enable you to bring the websites of the firms you’re looking for to your computer screen. There, you will be able to sift through the various offerings of the different roofing firms until you find one that suits your purposes. You will then be able to get the kind of service that you need to preserve your roof.